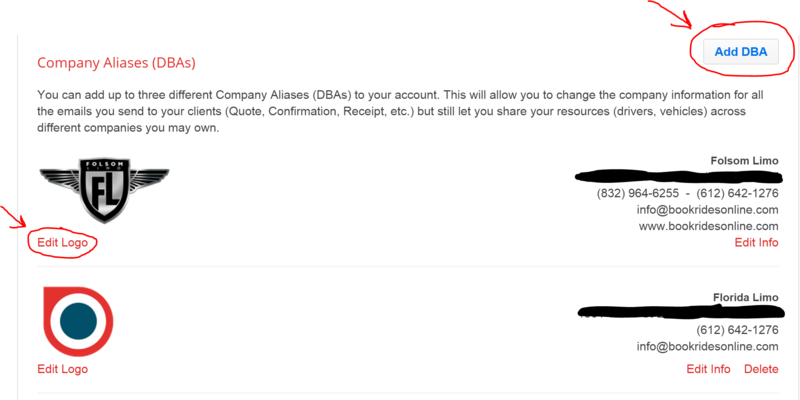 You can add up to two different Company Aliases (DBAs) with every BRO package. You may add more DBA’s upon request (additional charges apply). This will allow you to change the company information for all the emails you send to your clients (Quote, Confirmation, Receipt, etc.) but still let you share your resources (drivers, vehicles) across different companies you may own. First, go to the “Company” page and scroll to the bottom where you’ll see the section for adding DBA’s. You’ll see that information already appears for your company. You can add a logo to your company by clicking “Edit Logo” on the left side. This will allow you to upload your logo. Also in this section, you’ll see a link on the right side that says “Add DBA”. 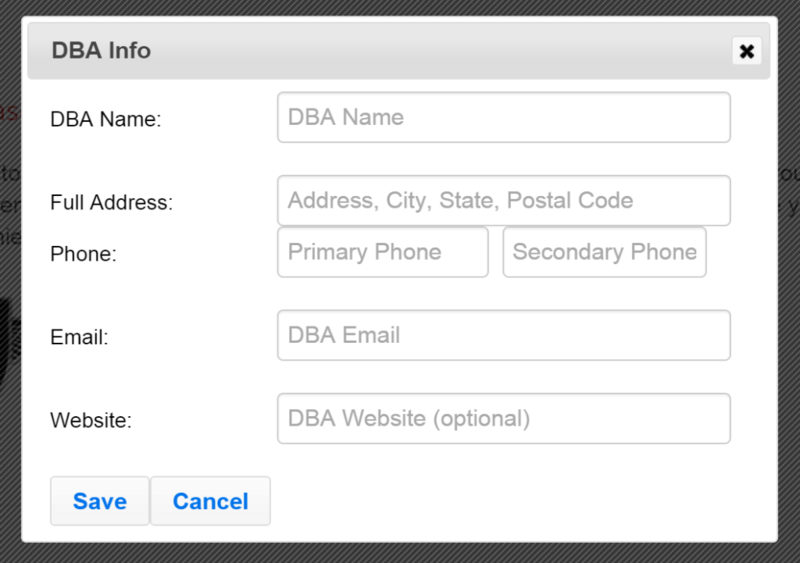 Click this button to add an additional DBA or Company Alias. A form will open for you to add the information of your additional DBA. Fill out the needed information and click save. This information will now show up as an additional DBA and you can now upload another logo if needed.